Long wait in the morning but other than that everything with quickly and informatively. I had only gone in to checkon a tooth I was having discomfort in. The Dr and the staff were very nice and pleasant. Long wait in the morning but other than that everything with quickly and informatively. I had only gone in to check on a tooth I was having discomfort in. The Drand the staff were very nice and pleasant. Dr. Hao was so sweet with my son. She never talked down to him and made him feel like he wasin control of what happened so he wasn't afraid. She made him laugh and talked about each stage of the procedure so he would know exactly what was happening. He gave her a hug and hopped out of the chair with a smile. I am so thankful! Dr. Hao was so sweet with my son. She never talked down to him and made him feel like he was in control of what happened so he wasn't afraid. Shemade him laugh and talked about each stage of the procedure so he would know exactly what was happening. He gave her a hug and hopped out of the chair with a smile. I am so thankful! Dr. Jin Hao is a thorough dentist, cosmetic dentist, and dental pain specialist, who is an esteemed member of many leading professional societies, including the American Student Dental Association and the American Dental Association. Dr. Hao attended Boston University, where she received her dental degree. Catering to the community of Houston, TX, Dr. Hao practices at Jefferson Dental Clinics. She also holds a master's and bachelor's in Stomatological Medicine and Prosthodontics from Peking University Health Science Center. 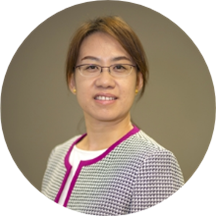 Dr. Jin Hao is a multilingual communicator who can converse in English and Chinese, which makes her skilled in building and strengthening relationships with diverse populations. Dr. Jin Hao communicates with her patients with clarity and ensures they have all the information they need to make the right treatment choices. She is flexible in working with the changing trends in medicine and in the healthcare market and endeavors to make dental visits a low-stress experience with quick, quality treatment and minimal discomfort. Awful service, expensive, probably lying about people's things. Dr. Hao is so kind and gentle - two important traits for a doctor! She made me feel comfortable with the procedures I needed and I was able to get everything taken care of in one visit.